Mix all together the night before to allow the flavors to blend, then serve the next day. If you do not care about carbs, you can use sugar instead of splenda and you can add all kinds of other crazy stuff like crushed pineapple..which is really good in cole slaw btw. Enjoy! 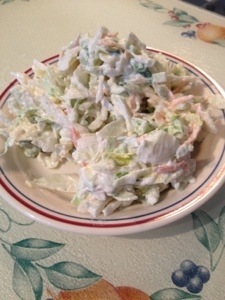 This entry was posted in daily muse, low carb, salad. Bookmark the permalink.